Explore what it is like to be somebody—what we find positive about it and what we don’t. Identify and challenge negative, false and unhealthy messages from people we know and people we don’t. Including the media. 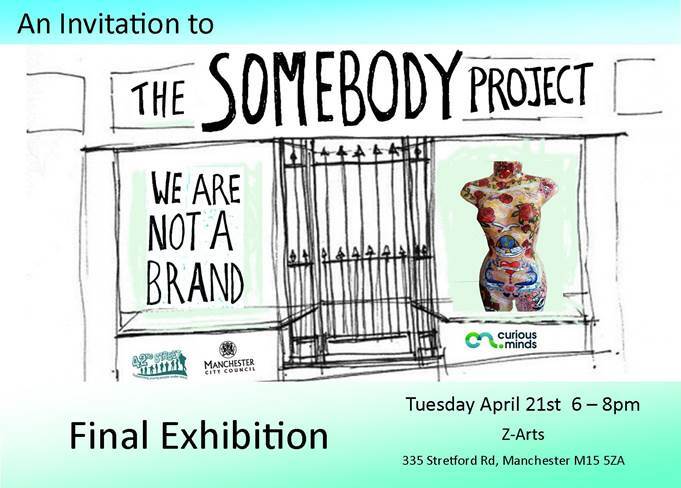 Share our thoughts and findings about being somebody with other people in Manchester to make them think more about this stuff too.